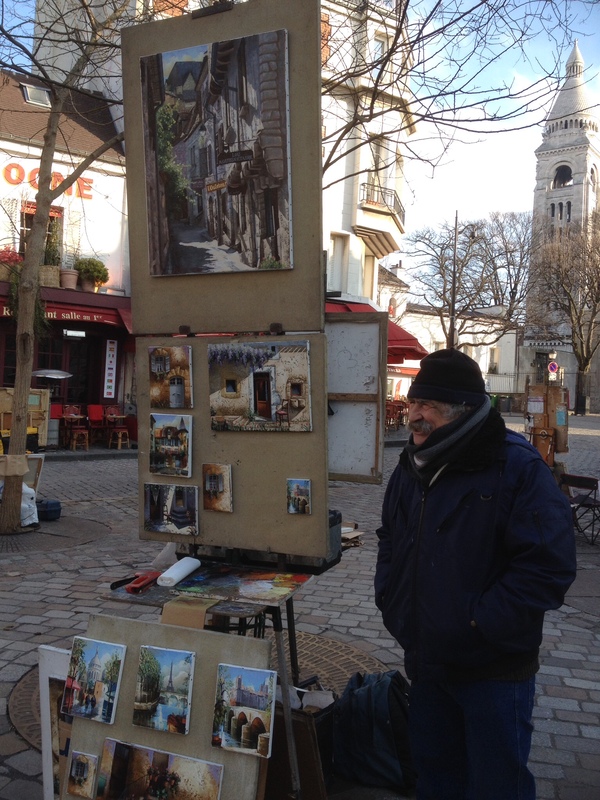 His booming laugh echoes out around La Place du Tertre. 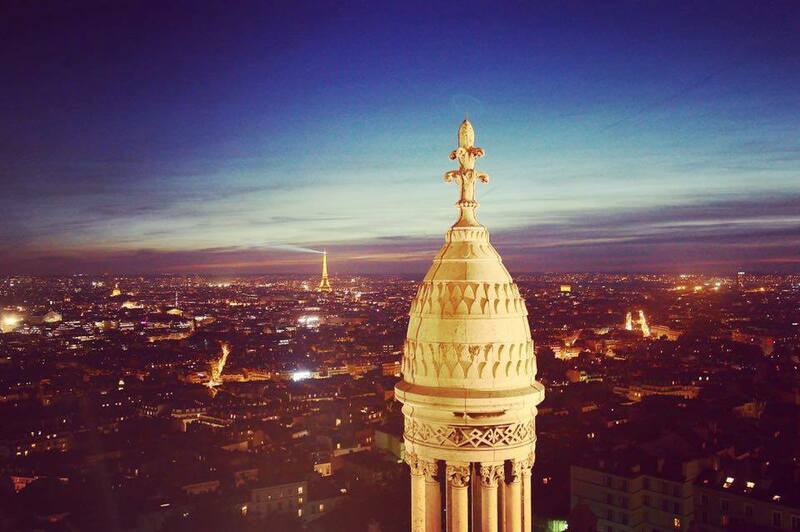 Above him, in the historic heart of Montmartre, the white dome of Sacre Coeur glistens in the early morning sun. Pigeons shuffle and flit, pecking between the cobbles. Empty cafes line the perimeter of the square as one or two Parisians cradle their steaming espressos al fresco. Perched high above the city, painters here huddle over their work, braced against the winter cold. Lovingly they tend to their windows onto imagined worlds.